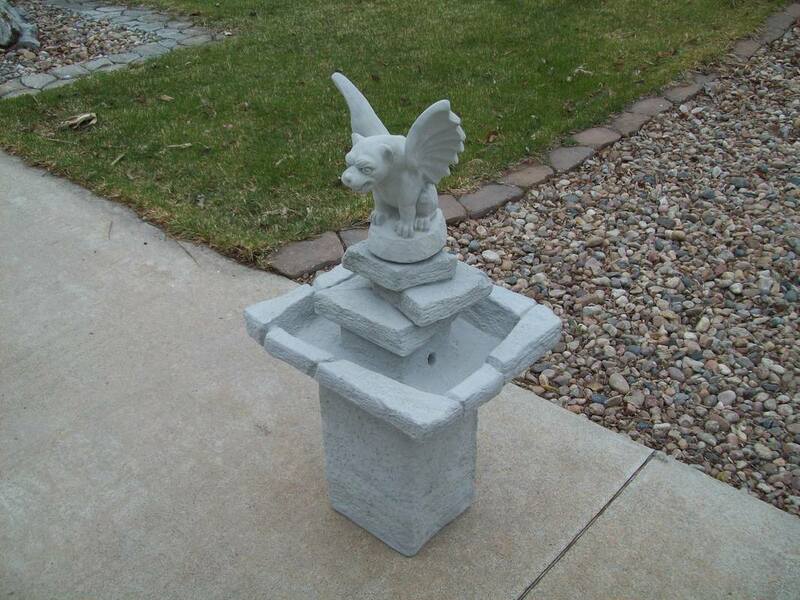 Pumps are available for the fountains for $35 each. 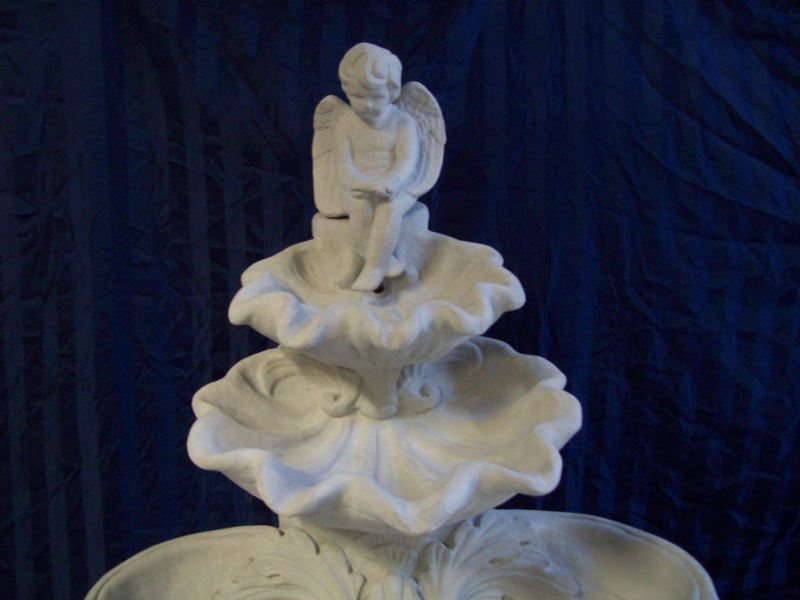 The angel fountain is in 4 pieces. 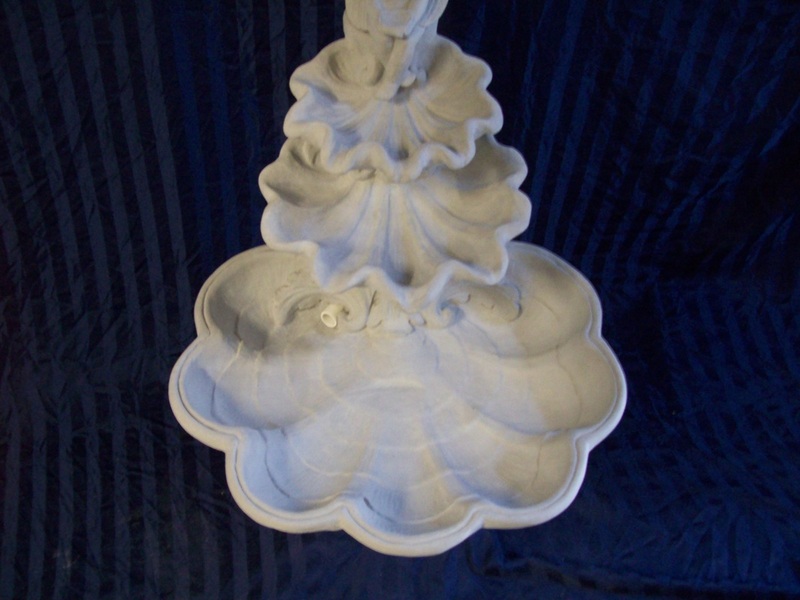 Water recirculates from small shell bowl to large shell bowl. 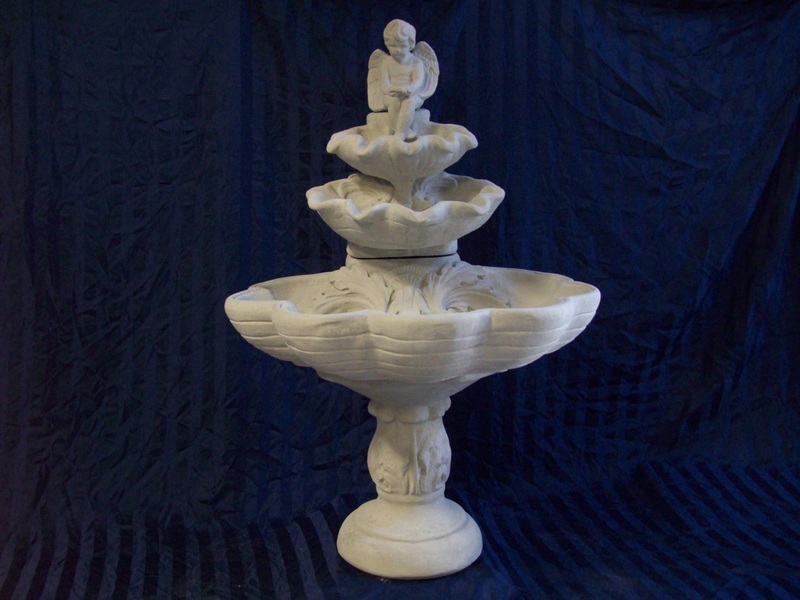 The love dove fountain is in 2 pieces. 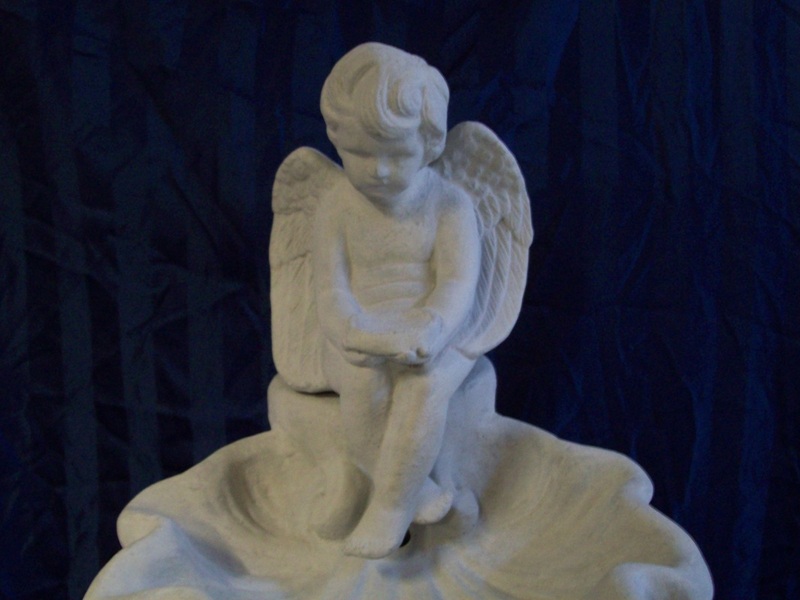 Water recirculates from love doves to large bowl. 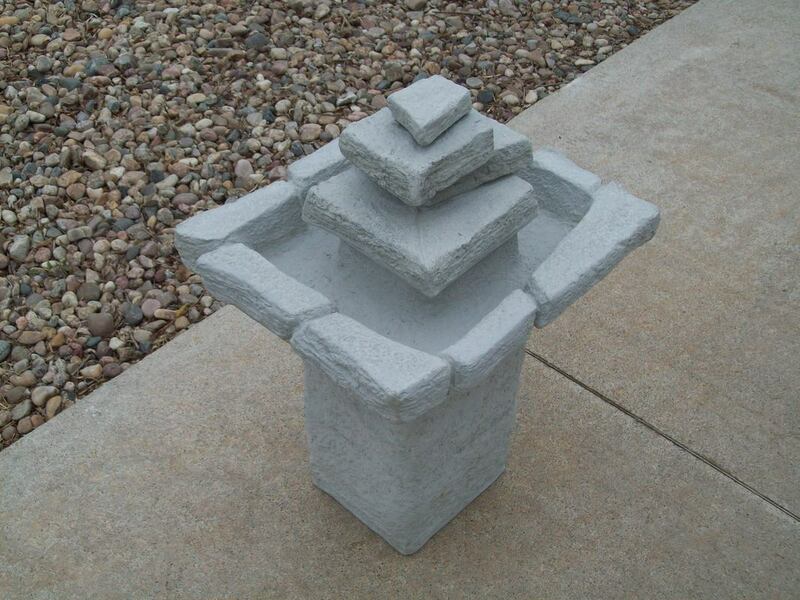 The Rustic Rock Fountain is in 4 pieces. 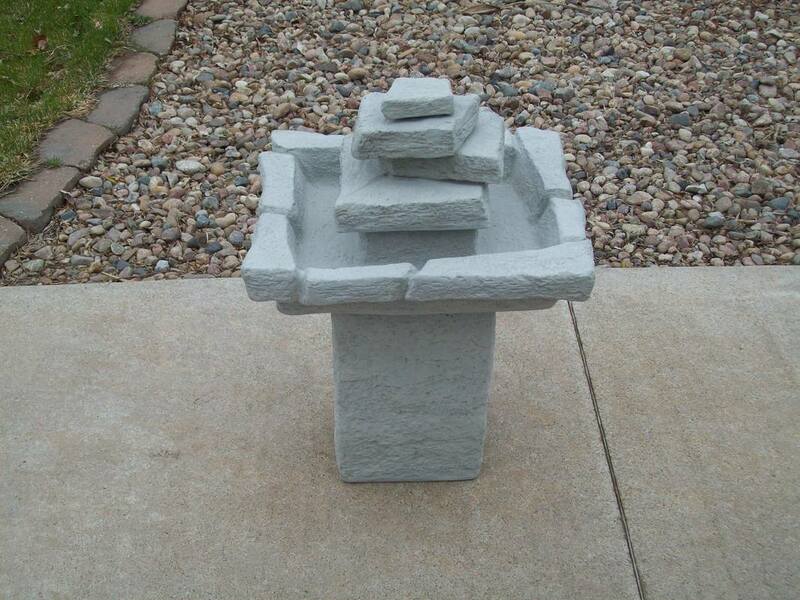 Water recirculates from the small stone to large stone basin. 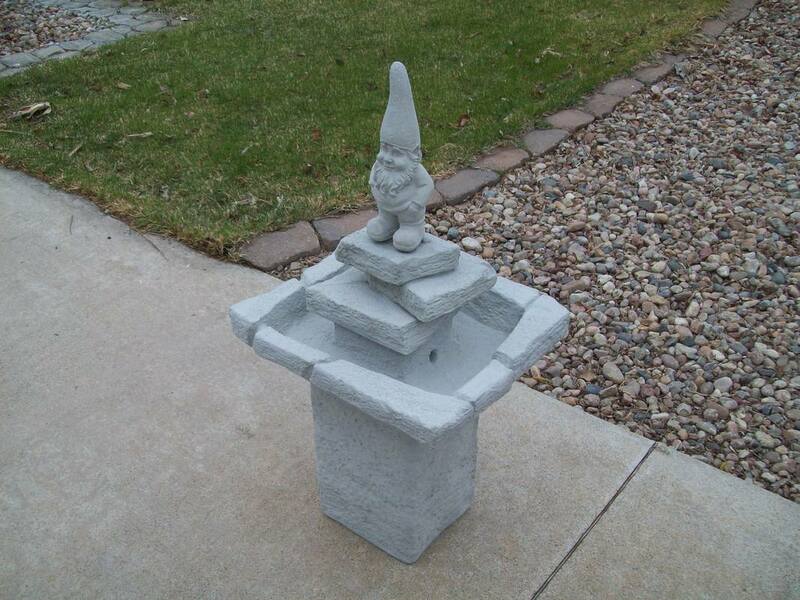 It will hold about 1 1/2 gallons of water. 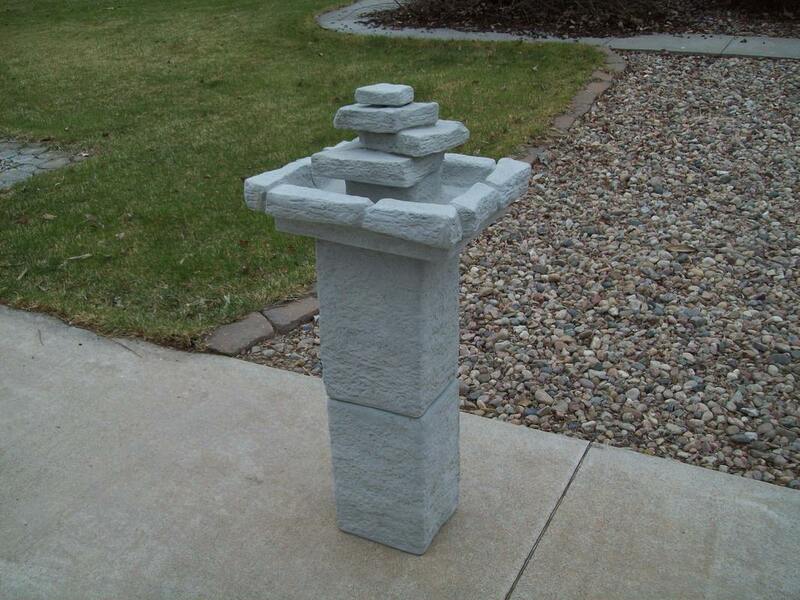 The Extra Tall Rustic Rock Fountain is in 5 pieces. 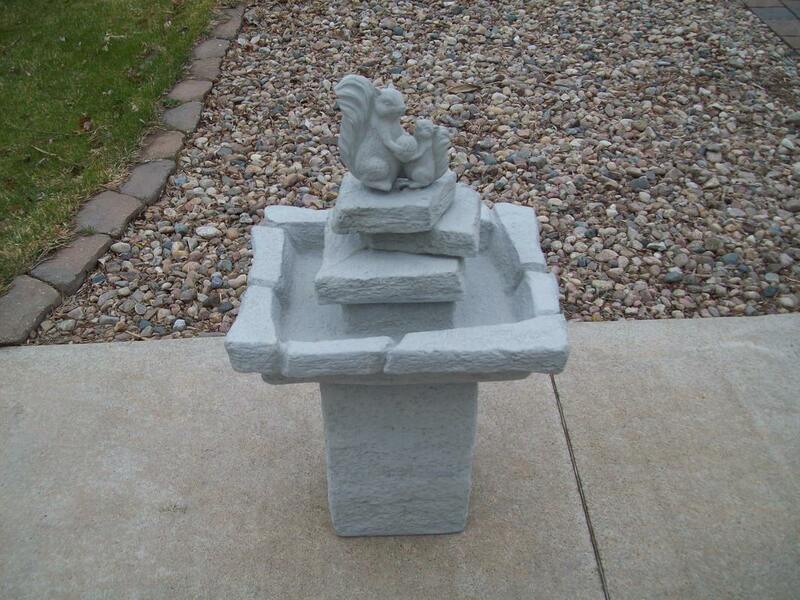 Water recirculates from the small stone to large stone basin. 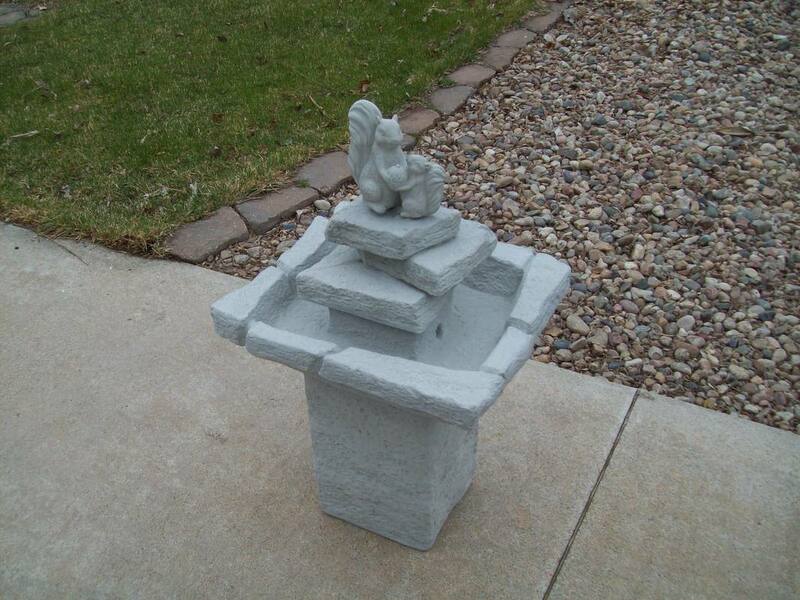 It will hold about 1 1/2 gallons of water. 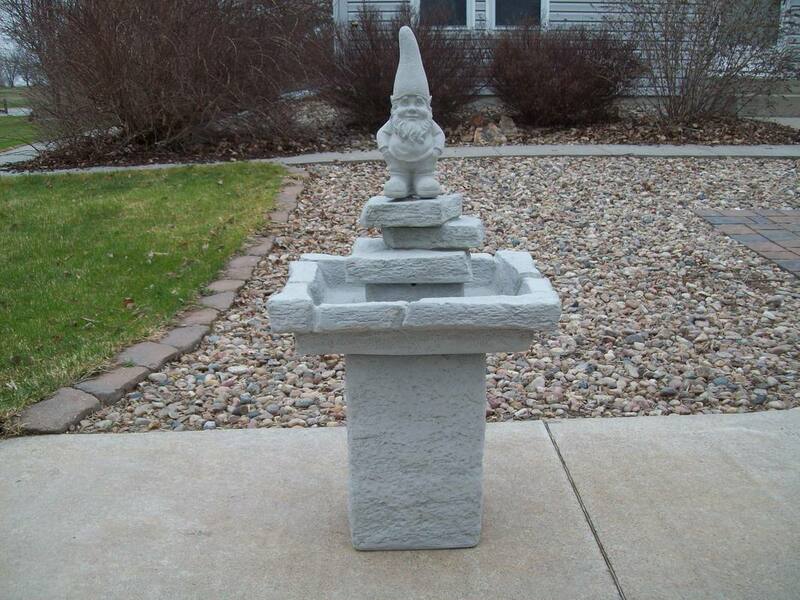 The Gnome Rock Fountain is in 4 pieces. 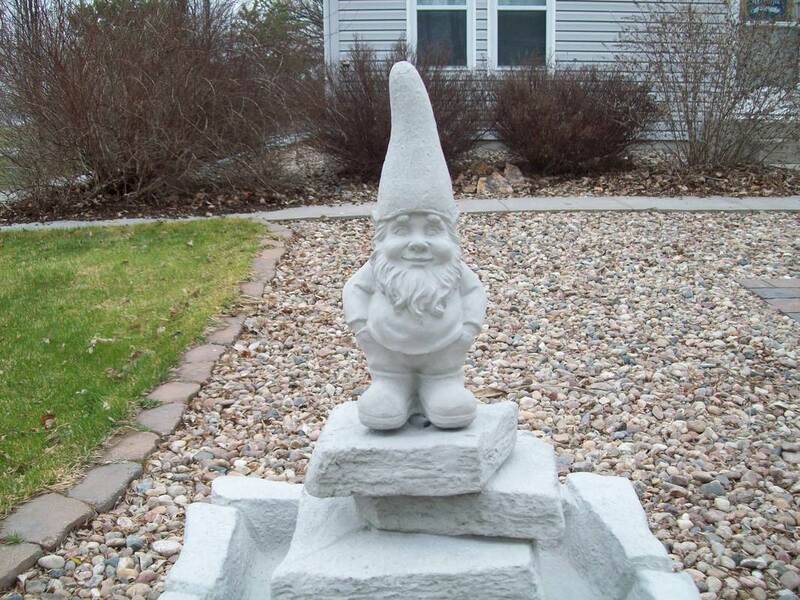 Water recirculates from under the gnomes feet to large stone basin. 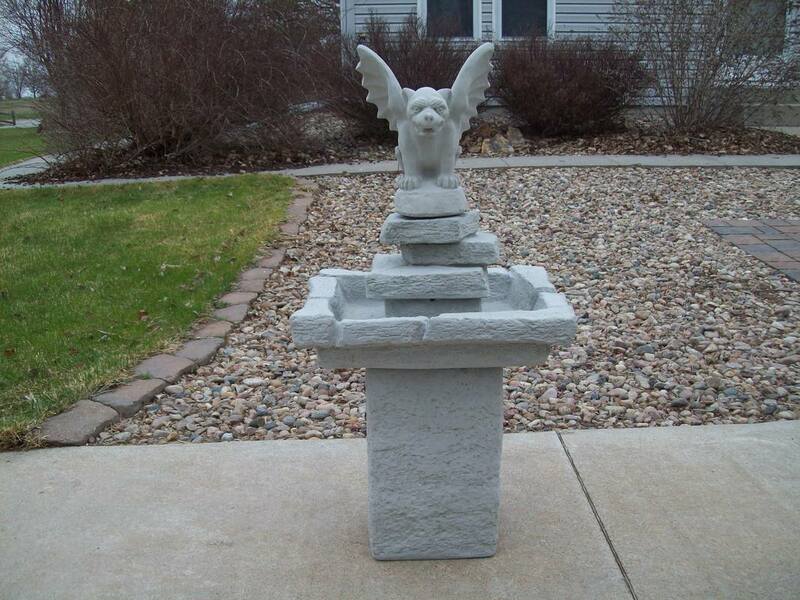 It will hold about 1 1/2 gallons of water. 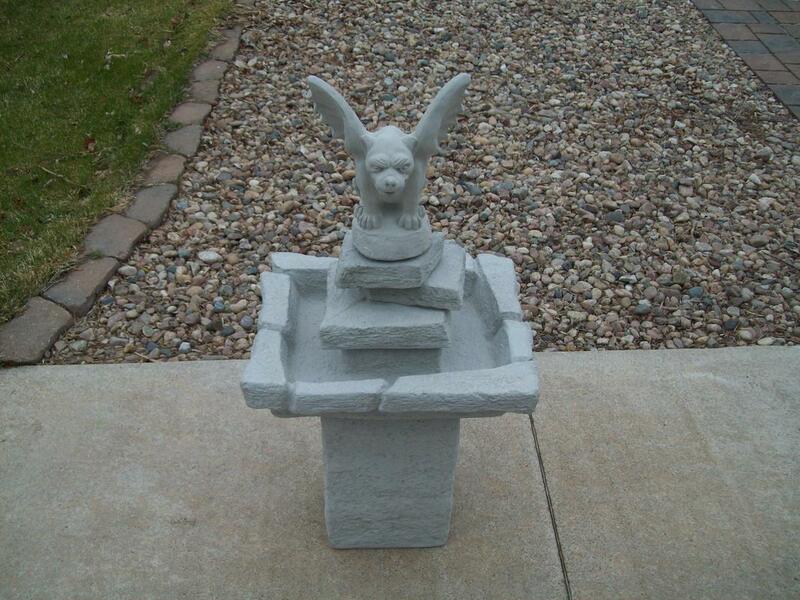 The Gargoyle Rock Fountain is in 4 pieces. 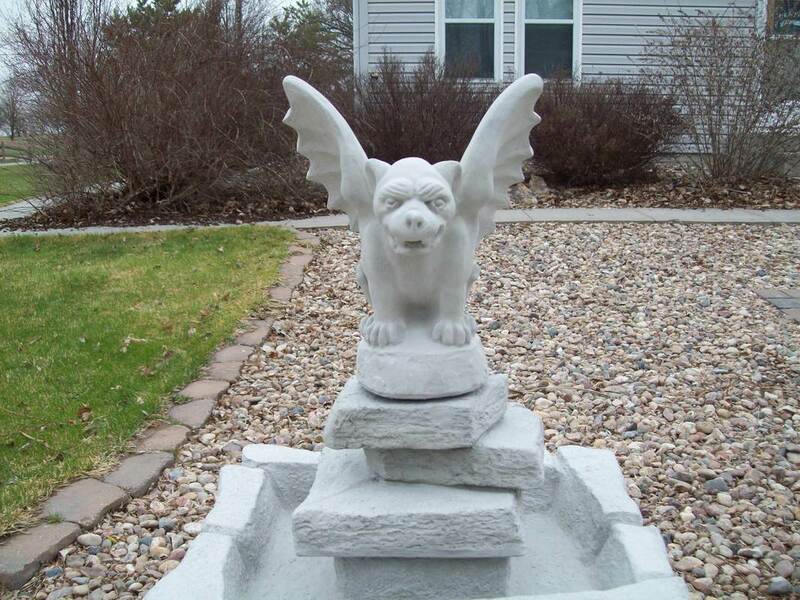 Water recirculates from under the gargoyle to the large stone basin. 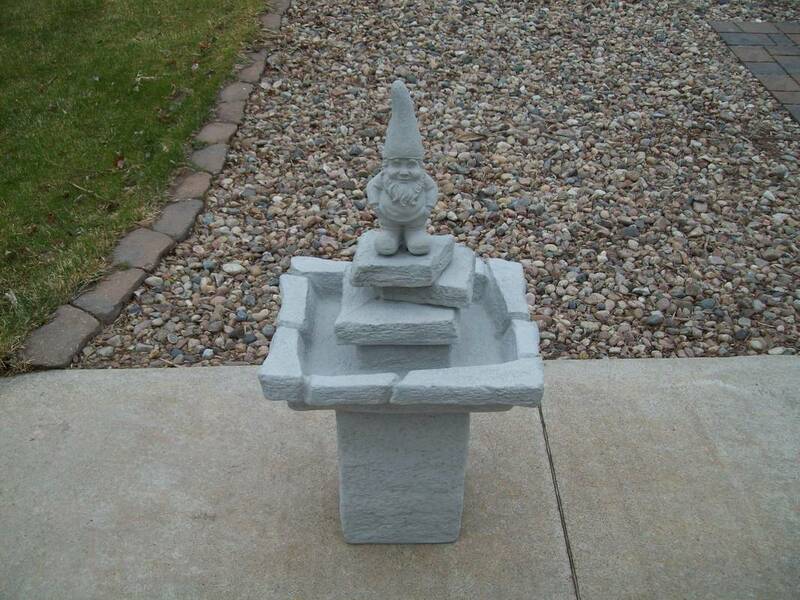 It will hold about 1 1/2 gallons of water. 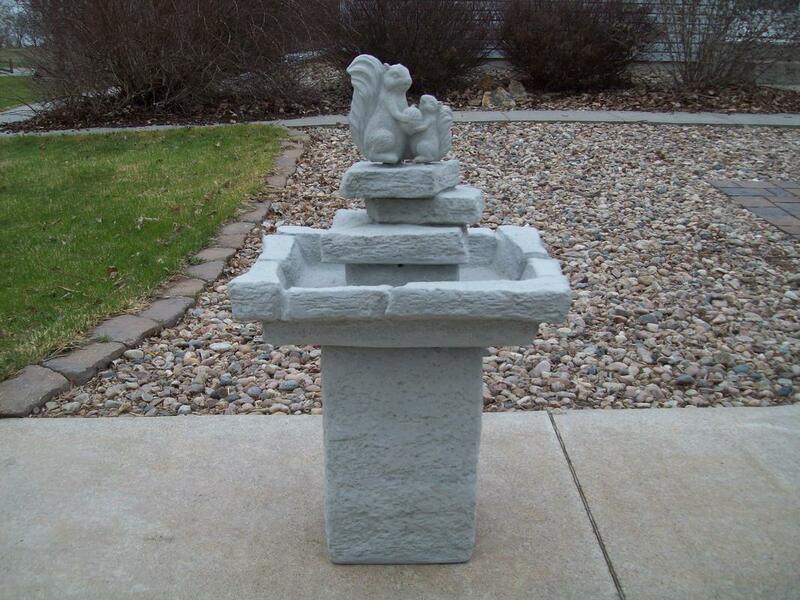 The Squirrel Rock Fountain is in 4 pieces. 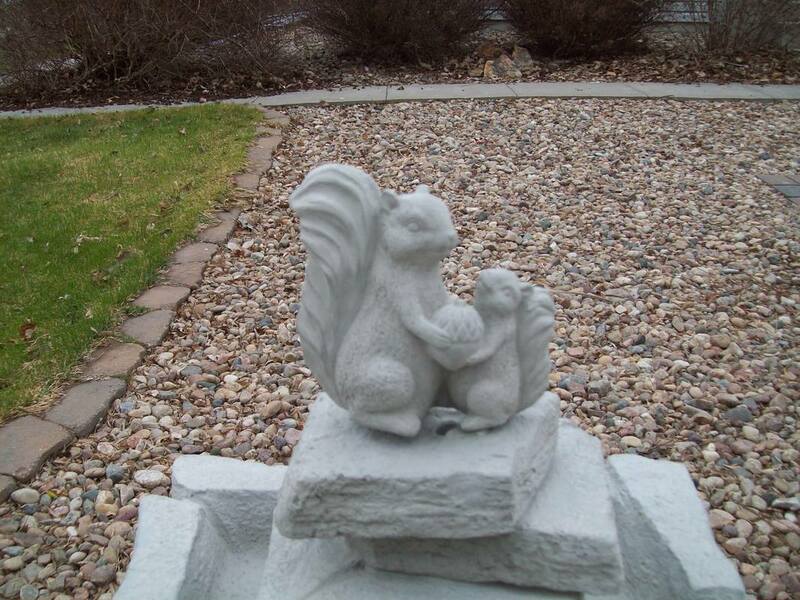 Water recirculates from under the squirrels to large stone basin. It will hold about 1 1/2 gallons of water.